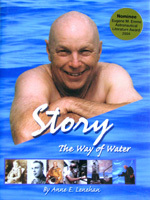 September 2004 issue of the online magazine "Small Press Bookwatch"
Story: The Way Of Water by Australian author Anne Lenehan is the biography of Story Musgrave. 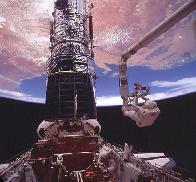 American hero, renaissance man, and arguably NASA's greatest spokesperson, Story Musgrave's remarkable personality, determination, and talent shine through in this inspirational accounting of his life and work. Told with detail, yet in a friendly, engrossing style of narration, Story: The Way Of Water is as enjoyable to read as it is uplifting. To order, click here to go to our space books section.